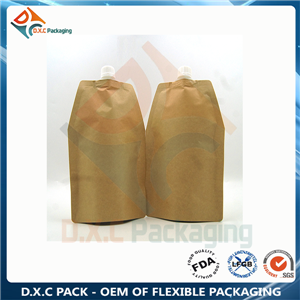 Shaped pouches can make your products more outstanding and attractive on the shelf. 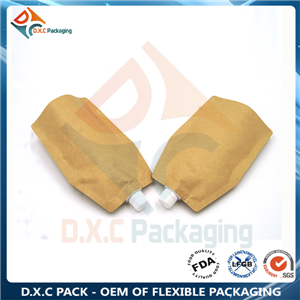 Spout pouches are a cost-effitive alternative to rigid packaging and are available with many different types of attachments of spout, in a range of spout and colors. 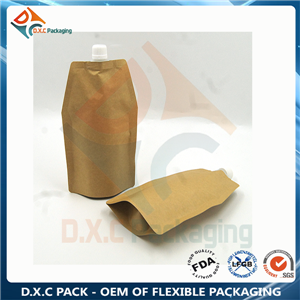 Kraft paper material make you products more natural and environmental. 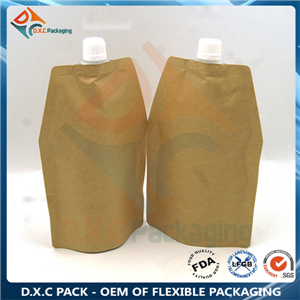 Shaped pouches can make your products more outstanding and attractive on the shelf. Spout pouches are a cost-effitive alternative to rigid packaging and are available with many different types of attachments of spout, in a range of spout and colors. They are made from laminated co-extruded films,offering good strength and visual impact. 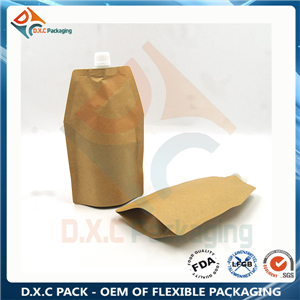 This pack form is suitable for liquids and powders with tamper-evident screw caps for greater flexibility to designs and product performance. 1.Excellent printing effect: 6 colors flexo printing. 2.Material Structure: 2-5 layers. 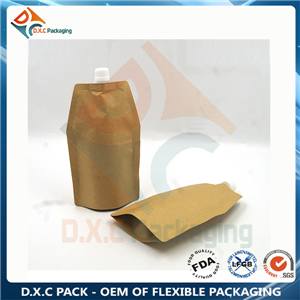 Kraft paper, Aluminum Foil, VMPET, NY etc.